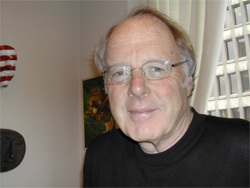 Bill Criddle earned his Doctorate in Psychology at the University of British Columbia (1970) and completed his MBA at the International Management Institute, University of Geneva, in Switzerland (1986). He became a Fellow of the Institute for Rational Psychotherapy in New York City in 1971 and subsequently became the Director of Training at the Northwest Branch of The Institute in Seattle, a position he held until 1979. He also started his clinical/consulting practice in 1971 providing psychological consulting services to individuals and corporations. From 1972 until 1985 he was an Assistant Clinical Professor in the Department of Psychology at the University of Washington; he has also taught in the Drug & Alcohol Program at Seattle University and in the MBA Program at Seattle Pacific University. He has been a regular guest faculty member at the International Management Institute, where he conducted Personal-Managerial Feedback Programs. When not working, Bill lives with his wife of 49 years, Lyn, at their home on Orcas Island. His recreational pursuits include skiing, sailing, cooking, tennis, reading and travel.